After I graduated from college, my first job was a temp position bookkeeping for a small photographer’s management agency. On my first day at work, I was handed a column pad and a shoebox full of receipts and told, do something with this. I examined the hand-written spreadsheet, got acquainted with the categories, and proceeded to put all of the business expenses in order. Next, I balanced all the bank statements. Within a couple of weeks, I got so on top of things, that I discovered my boss’s office manager had been writing herself extra paychecks. Needless to say, she got fired, and I got a promotion. True story. I wish I could say that bookkeeping was always this exciting. It’s not, but if you manage to stay on top of the myriad record keeping tasks it entails, you will not only keep your business organized, but you’ll be creating a strong foundation for growth and success. You’ll also become well acquainted with the inner workings of your business - always a good idea, especially if you plan to grow your business and take on assistants or other staff. As the above example illustrates, not being in tune can have dire consequences. Accountants are your friends. They want to help you save as much money as possible and not get hassled by the IRS. They will give you handy checklists and schedules with filing dates and instructions. Follow them. Make your appointment early so they will have time to process your returns in time for the April 15th deadline, allowing for any unexpected issues or missing items that may be discovered at your meeting. Take some time to put your paperwork in order. It’s the beginning of the year, so now’s a good time to set up your books with a solid system in place to track all of your income and expenses. Whether you prefer an old fashioned ledger or an online system such as Quickbooks, Xero, or even Wave (free! ), you’ll want to record all of your bank deposits and expenditures and save all of the related documentation. This includes receipts, invoices and any other notes you need to track needed details (such as names of people with whom you meet or mileage you cover on business trips). 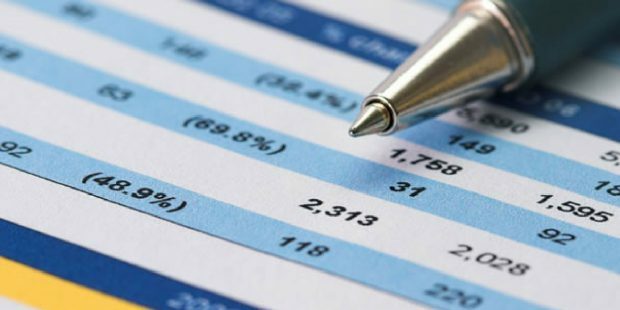 5 #bookkeeping basics every #entrepreneur need to know. Don’t make the mistake of waiting until the end of the year to untangle a box filled with receipts and other miscellaneous scraps of paper. Procrastinators beware! You may think you’re too busy to take the extra steps of putting things in order as you go along, but trust me, it will come back to bite you at the end of the year if you don’t. Anyone who has spent painful weekends preparing for their yearly tax appointment with their accountant can tell you, it’s not fun. To put a finer point on #3, you will want to make sure that you have all the details you need for every bank deposit you make and everything you pay for. Use a dedicated ledger for all your notes (I like a small, Moleskin-type book), and record the details directly on the bank deposit slips and receipts, as well. Once a month, you should be reconciling your bank statement. You can use this monthly reconciliation process as a time to evaluate the health and wellbeing of your business. Take a look at your expenses. Are you spending your money wisely? Are there places you can be more frugal? How about your income? Are your clients paying you on time? Do you have any outstanding accounts that need to be sent reminder invoices? Staying on top of collections and being strategic about the money that is coming in will both be made easier and more efficient when you establish a regular bookkeeping practice. Do you have some bookkeeping tips that you’d like to share with the rest of us? If so, please leave a comment below.